I’ll be completely honest with you all. Maintaining a blog while working a full-time job is not an easy feat. In the quieter summer months, I was doing so well. I was blogging up to three times a week for a good few months. But as work picked up in September, and my hours inevitably became a little longer, I struggled. I love writing this, and cooking for it, and eating out just to write my thoughts on a place. But I’m also only one human, and one human that loves a cup of tea, bath, and an early night whenever I can get my paws on one! So I guess what I am trying to say is a bit of an apology for being a somewhat behind on the routine blog posting thing of late. And also a promise to try and post more regularly again. I’m going to need to get my act together with Halloween fast approaching and Christmas literally around the corner (80 sleeps, but who’s counting?!). Now that’s out the way, shall we move on to today’s Breakfast Club destination? Yes, well I think so. 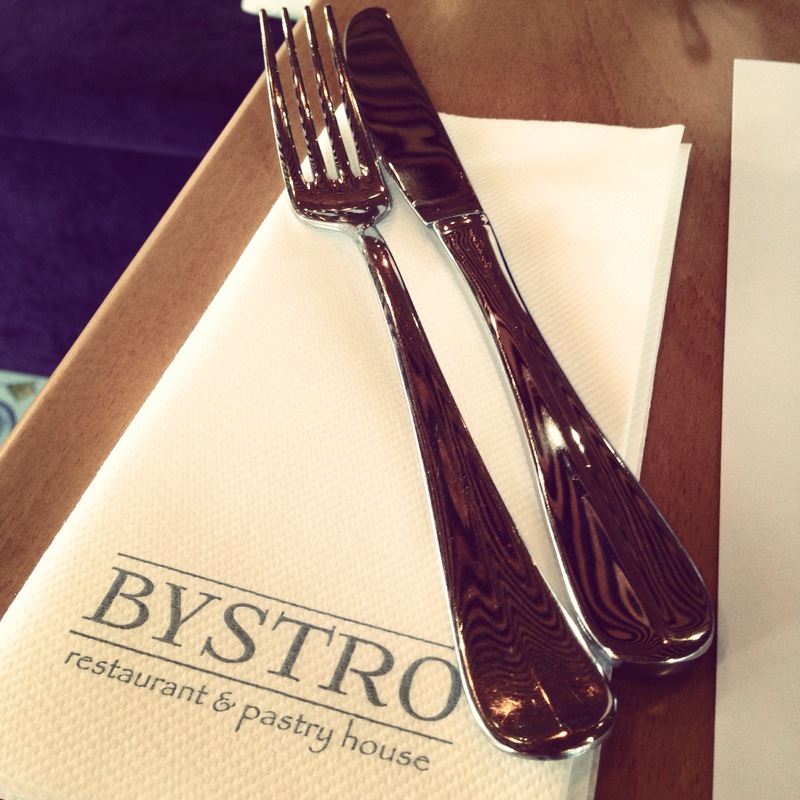 Bystro. I had been meaning to pop on over to this little gem ever since it was recommended to me by Dubai blogging royalty, Geordie Armani, back in May. Better late than never, don’t you think? Well I’ll tell you now – it was well worth the wait. From the outside, for some reason, I expected the place to be tiny. Not sure why, but boy was I wrong. It’s humungous! 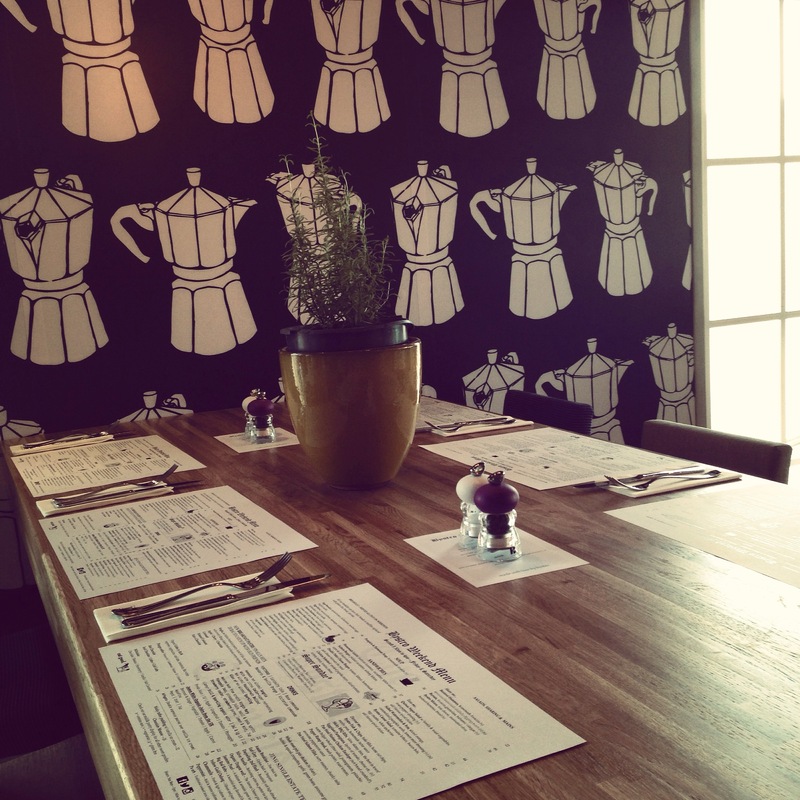 With wooden floors, chalkboard walls, tables of varying sizes and heights, and a central bar filled with pastries and sweet treats, I knew I would love the place from the moment I stepped in. 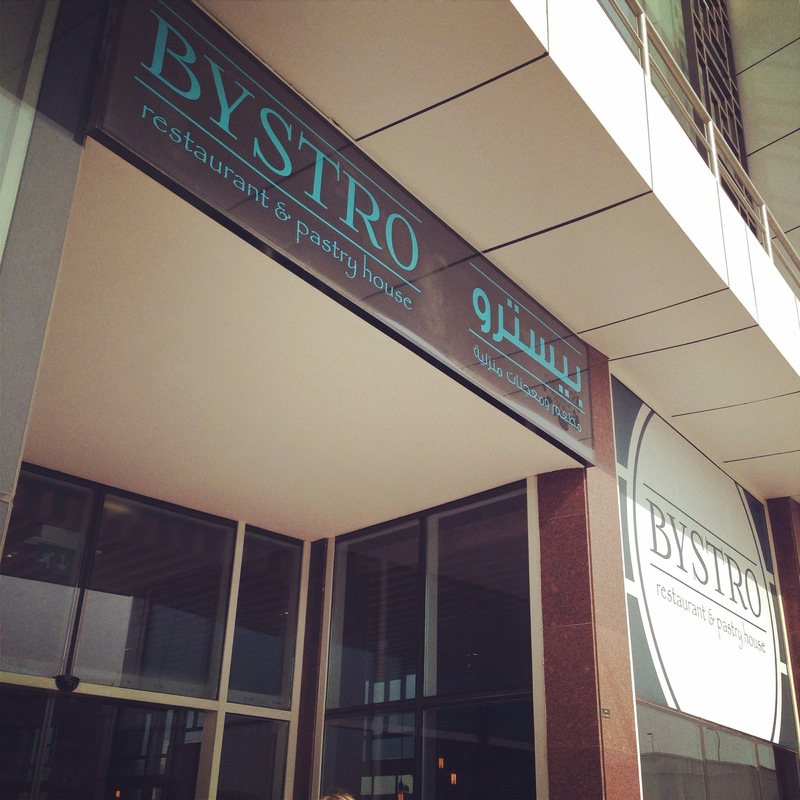 Something I loved about Bystro was the ambience. I find that with some of my more regular breakfast haunts (i.e. Jones, Tom & Serg, Limetree), their warehouse-style interiors result in quite an echoey atmosphere, to the point where it’s so loud on the busier mornings that you can hardly hear each other speak! And I sure do love a natter. 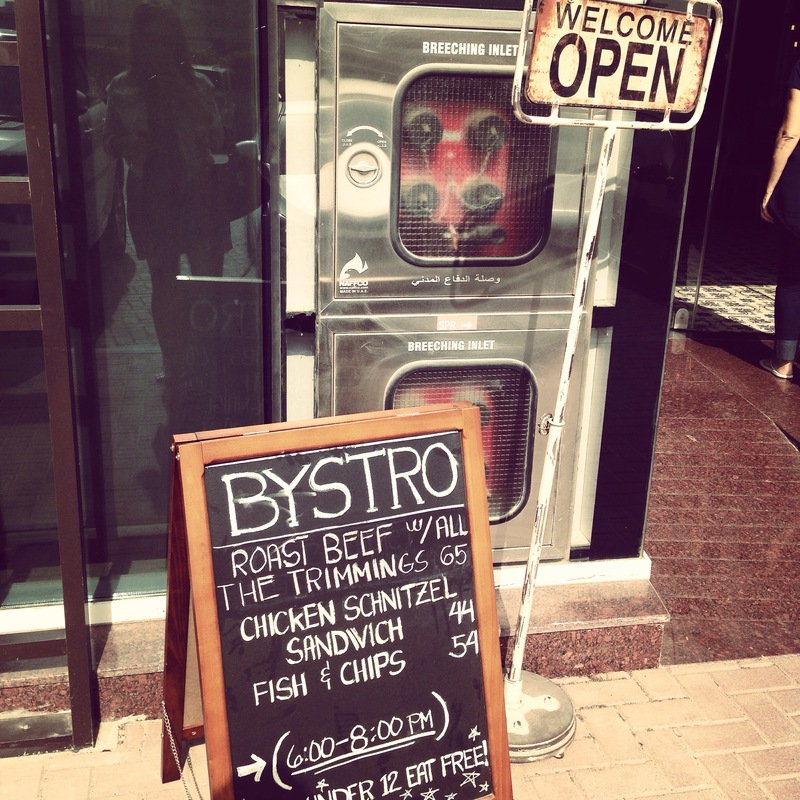 Bystro had none of that. 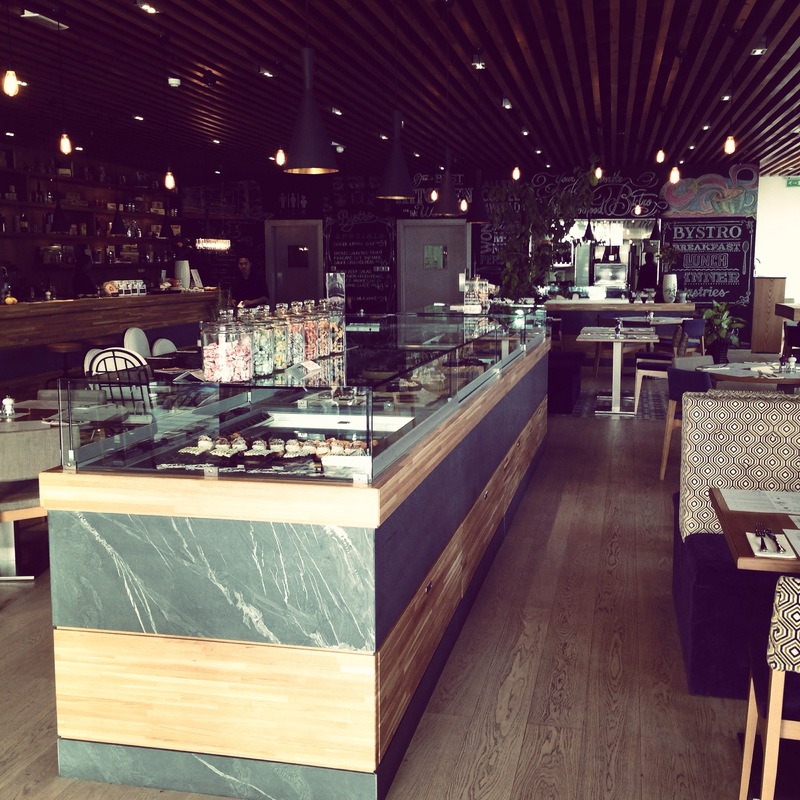 It was quietly buzzing, cosy, yet spacious, and the perfect temperature – I hate it when restaurants are freezing cold. A pet peeve of mine, if you will. 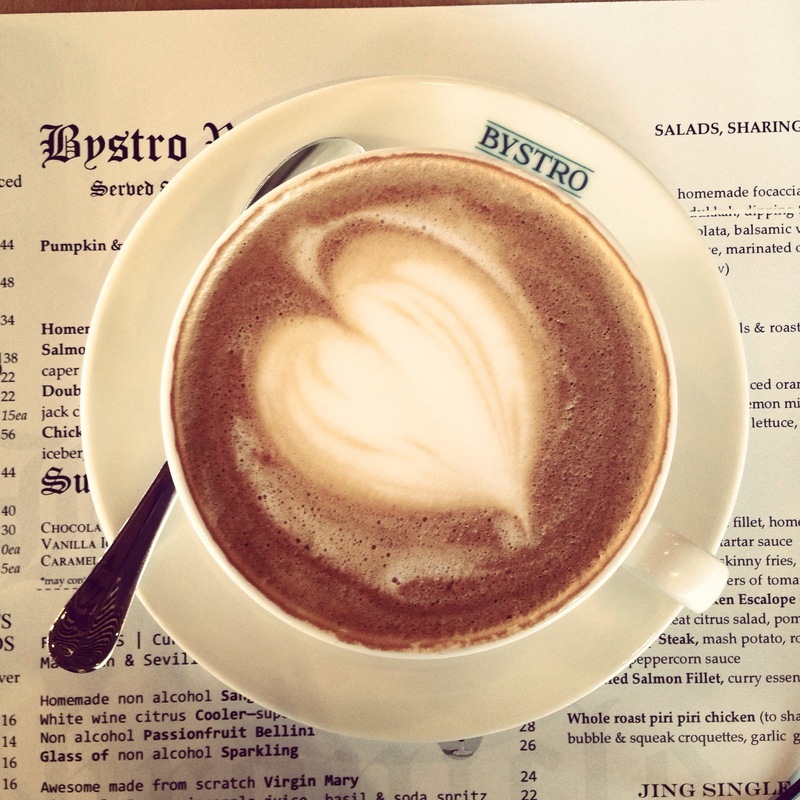 As I perused the menu, I sipped on my go-to breakfast bevvy – a flat white. The coffee was strong. Just what you need to kickstart a long day! The mother had her own personal plunger – the staff were very helpful in guiding her to the perfect coffee bean selection – a medium roast Kenya AA in case you wondered. I decided to go for the smoked salmon, served with a dill potato cake, a dollop of crème fraîche, two perfectly runny poached eggs, and topped cracked black pepper. It was divine. 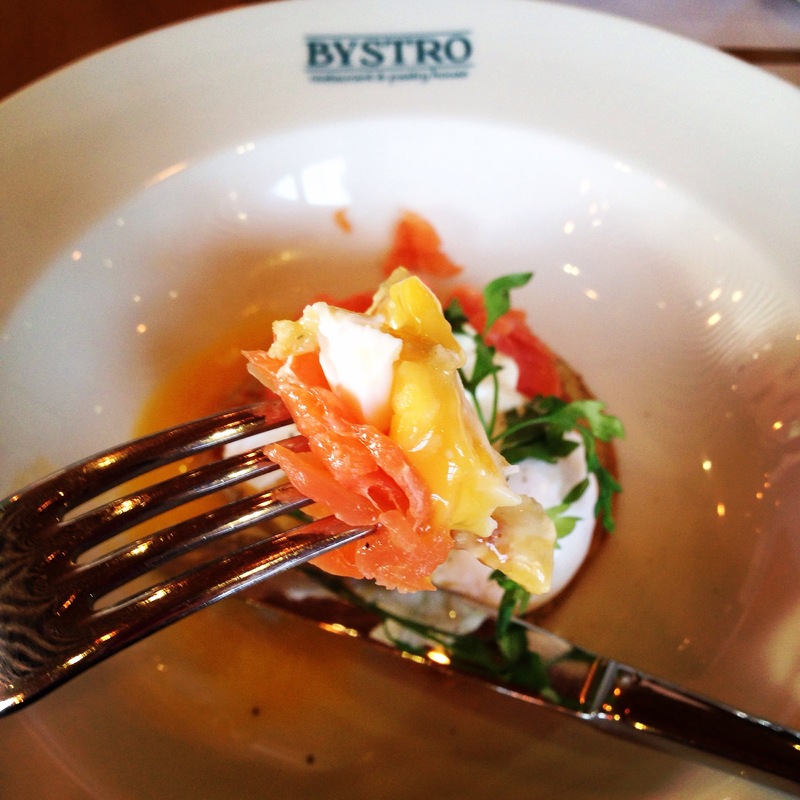 The perfect portion size, with a superb balance of flavours. I devoured the entire thing, and was left feeling perfectly satisfied. I have heard from multiple sources that the Huevos Rancheros is THE dish to try. Which means I’ll just have to go again! I can’t say it bothers me in the slightest. 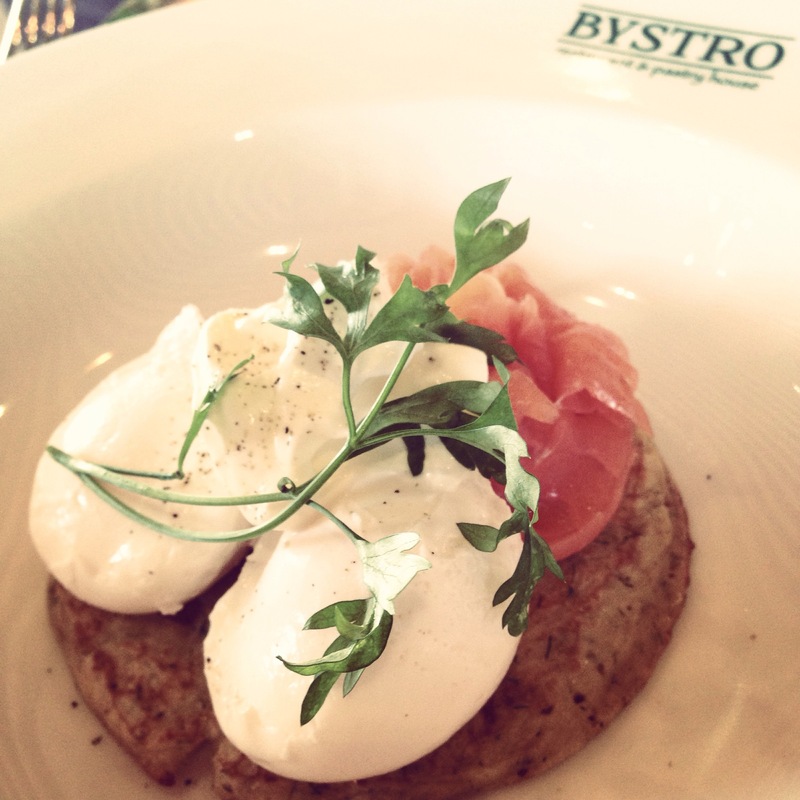 A great breakfast destination, with delicious food, a welcoming atmosphere, and attentive staff. Well worth a visit! Very near where I live and increasingly the place I choose for meetings, lovely to get an inside view since refurbishment. A lot less sterile and a bit more funky. 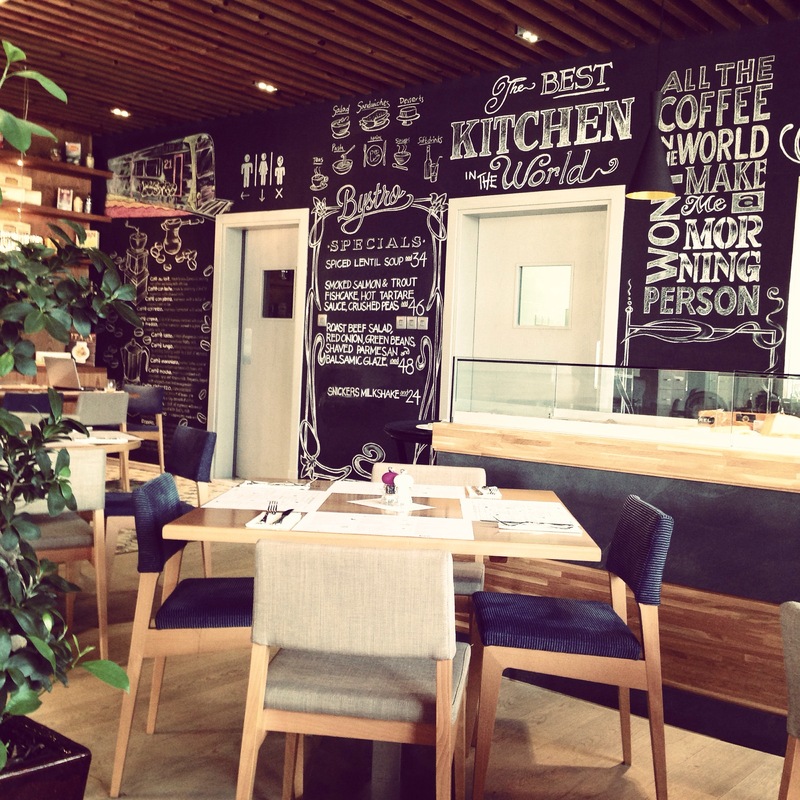 The food is good and the staff are lovely. Nice review and a lot to like about Bystro. Keep calm and carry on blogging – don’t worry about the lapses….we’ll be here waiting – such great writing style. I’ve been there twice so far – once for work (I covered it in my magazine), and then for a Restronaut event. Enjoyed both experiences, but I have yet to try the Huevos Rancheros as well! And just wanted to say, don’t worry about breaks between blog posts! I’ve been absolutely horrible with my food blog, need to give it some loving soon. Thank you! I guess we’re all in the same boat, and it’s impossible to maintain a squeaky clean routine all of the time. Great to hear that I am not the only one! Give that blog some loving – writing this today has given me an instant motivational kick! Next time I come to visit you please can we go here? looks delish!